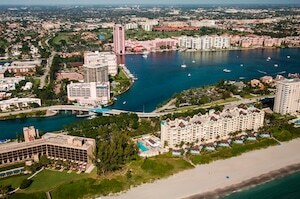 Boca Raton Florida is just south of Miami and located on the southeastern coast of sunny Florida. It is home to the great cultural masterpieces such as the Boca Raton Museum of Art, Gumbo Limbo Nature Center, and the primary campus of Florida Atlantic University. Boca Raton is known for its stunning golf courses, beautiful parks, dazzling beaches, classy jazz clubs and great restaurants. The population of the city is in excess of 93,000. All Points Medical Waste is proud to have offered on-site document shredding to Boca Raton since 1994 and biomedical waste disposal since 2013. All Points Medical Waste offers our clients biomedical waste disposal, sharps disposal, online compliance training that’s easy-to-use and monitor, as well as document shredding services. All Points Medical Waste is also proud to offer our clients hard drive, media and X-ray destruction services. Why Hire All Points Medical Waste? If you are interested in All Points Medical Waste services in Boca Raton, please contact us by phone or complete the form on this page.